Project Management' is a must-have section of an organization and business, observed and admired by a large workforce -whether senior management or entry-level trainees. It is more about leadership integrated with company management and thus, can't stop emerging. Project Managers are priceless resources to both top companies and small business groups. They are the engines to spread knowledge and information, conduct planning, to bridge the gap between the employees, customers and clients, resolve conflicts, facilitate core operations and keep every concerned person connected. There are lots of tasks a PM has to accomplish, which is why business experts have discovered ways to unburden and simplify their responsibilities. An extensive and exclusive professional Project Management Training can be constructive for all of them who want to see faster results and be the leaders. You can also acquire knowledge of concerned tools and services that can comfort you from multiple engagements at one time. This article presents some brilliant and helpful Project Masnagement Applications you can choose to operate from your smartphones anywhere, anytime and on any device (Android and iOS). Now, you have the choice to manage your team without being present in the office. Popular and productive, this Android/ iPhone application provides high-level features to view the projects on your mobile screen and share it with team members, clients, vendors and other business groups. Asana integrates well with almost every platform, including Google Drive, MailChimp, Github, Dropbox, WordPress, Evernote and others. With a premium support plan, project managers can obtain front-line support from the app managers, which can further help them make best use of its features, applications and upgrades. It gives you an extended facility of governing your users and admin and configure authentication. In demand for having Predictive Scheduling Engine, Liquid Planner is a dynamic sight of multiple project details on a single screen at one time. You don’t have to flip through screens like you do on your laptops and desktops. Rather, it gives you the ability to analyze the whole project at once, discover the scope the improvement and identify the bugs at the same time. You can then make a checklist and communicate it with team members. Since everyone working on a project relies on the Manager for anything and everything in between. 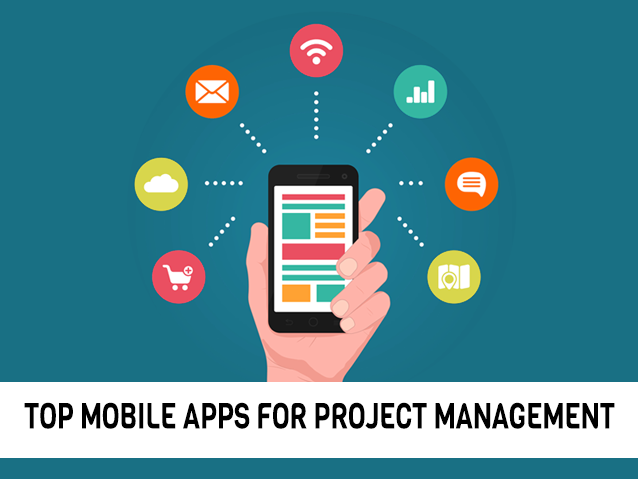 With Freelance Mobile app, there is someone whom the Project Manager can approach. It’s easy and fast. Just from your mobile phone, you can reach to that Freelance Advisor, who can mentor your work and have things done for you. Having the professional proficiency in the service market, Mavenlink is a visual tracking tool that enables Managers to replicate and visualize success of their project using several timeline charting tools on templates. This helps them make keen and wise decisions to enhance the project's performance. The mobile app features fault-tolerant attitude and excellent efficiency while tracking the changes. Clarizen simplifies a streamlined social system for the processes and conversations that occur during a project course, giving PMs a highly accessible environment. It is a cloud-based service with up-to-date data, which can manage budgets, resources and projects. Clarizen integrates well with several platforms like MS Excel, Google Maps, Outlook, Salesforce, Lotus Notes. Vaishnavi Agrawal loves pursuing excellence through writing and has a passion for technology. She has successfully managed and run personal technology magazines and websites. She currently writes for Intellipaat, a global training company that provides e-learning and professional certification training. The courses offered by Intellipaat address the unique needs of working professionals. She is based out of Pune and has an experience of 6 years in the field of content writing and blogging. Her work has been published on various sites related to Project Management, MapReduce Training, Digital Marketing and more. Definitely, all of the apps are playing a significant role in today's era of technology. Mobile workforce management is also one of the greatest ways to grasp the data with ease.